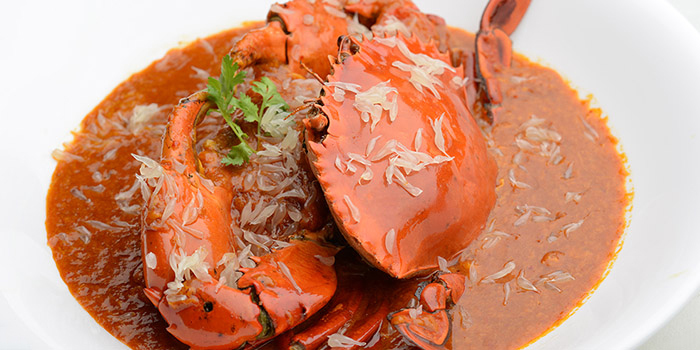 With a dedicated fan base of locals and visitors alike, New Ubin has diners flocking to its off-the-beaten-path corner of Bukit Timah for bang-up butter crab, superior steak, and all the crave-worthy classics you can handle. Do yourself a favour and start off with the U.S. Angus Rib Eye Steak. While the steak alone is worth raving about, it should arguably be regarded as a teaser to the real highlight: the Heart Attack Fried Rice that comes with every steak order. Rice is tossed to perfection in beef fat cut from the aforementioned steak, and charred to a rich, delicious brown. Don't think for one moment of ordering the rice as a standalone - this fragrant goodness won't be available unless you opt for the steak! When you've finally come down from your beef-induced high, be sure to give other menu heavyweights a go. Those who have trouble deciding between steamed and stewed varieties should opt for the Great Shovel Nose Ray, done both ways in a single savoury dish. 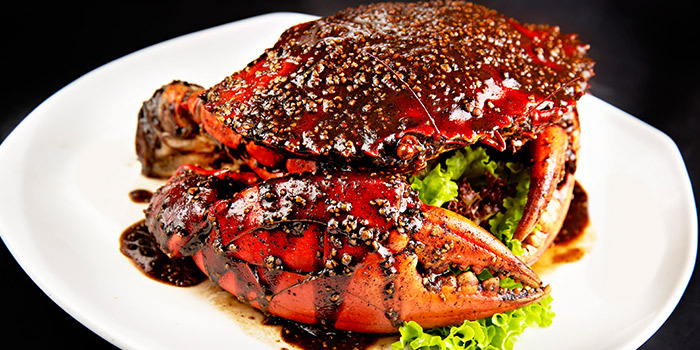 Since any local seafood joint worth its salt can offer up a great crab, it's no surprise then that New Ubin's XXL Sri Lankan Crabs are delivered live daily so you can enjoy them in your favourite Singaporean-style, whether dripping with chilli sauce, fried with black pepper, or baked in garlic. 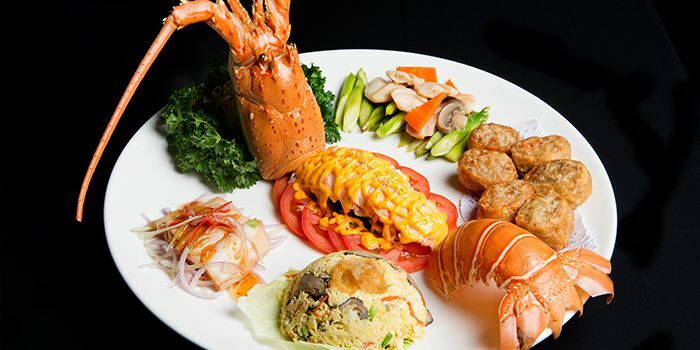 Wash that all down with a pint of beer, as you munch on Hei Chor, a Hokkien-style dish of bite-sized deep fried prawn rolls. Our diners have voted New Ubin as 'Hottest Group Dining Hangout’ in Chope Diners’ Choice 2018. 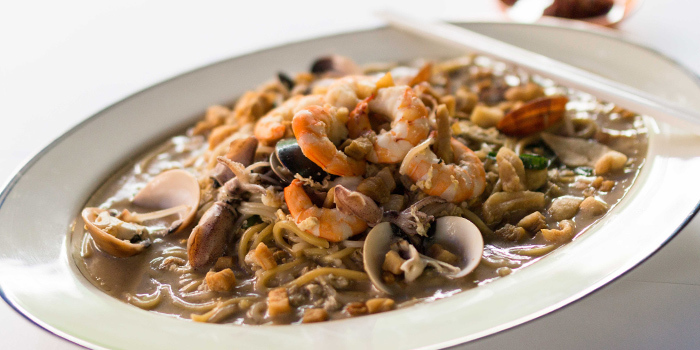 New Ubin Hillview has been awarded Bib Gourmand! Chope has partnered with Michelin as the Official Reservation System Provider to help you make reservations instantly. Don't miss the chance to experience a Michelin-awarded restaurant. 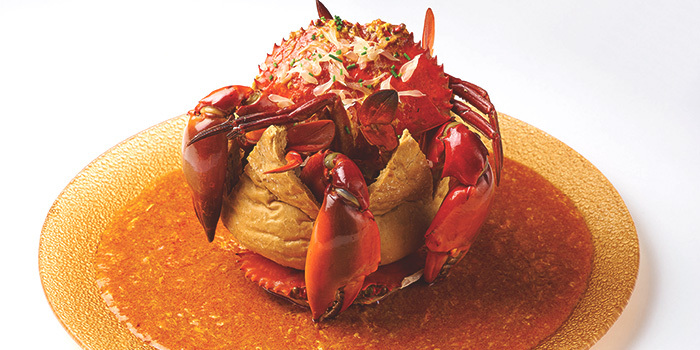 Please call us at 9740 6870 or email makan@newubinseafood.com for menu pre-orders. Kindly note that there will be a strict table holding time of 15 minutes, after which the table will be released. Dining time per reservation is capped at 120 minutes unless otherwise stated..
All online reservations will be for outdoor seating only. Special requests and air-conditioned seating requests are not guaranteed and are subject to availability and restaurant discretion. If you are unable to make a reservation online, please contact the restaurant directly either via call, SMS, WhatsApp or email.